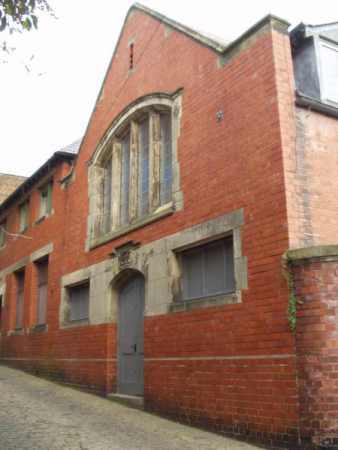 A building containing lecture hall (to be used as the chapel), schoolroom, library & other rooms was built in 1904-5 to the design of G. Dickens Lewis, and built by Messrs Price & Sons, to replace the chapel on Frankwell Quay. It was built at a cost of £4,500. The foundation stones were laid on Thursday 13th October 1904 and it opened on the 5th April 1905. It was intended to build a "handsome church" when circumstances permitted, on a part of the site that had not yet been built on. This new purpose-built chapel was erected in 1936.